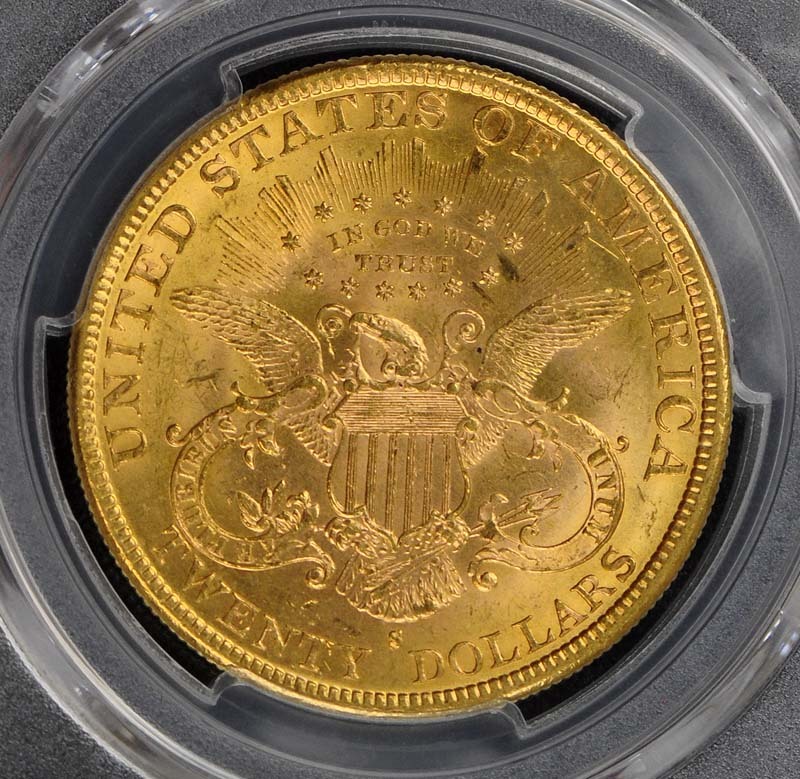 The 1888-S double eagle is one of the most common issues from the San Francisco Mint struck in the 1880s. Many were produced and then shipped overseas. The issue is easily found in all grades below MS-63. Choice pieces are scarce but offered at auction with regularity. 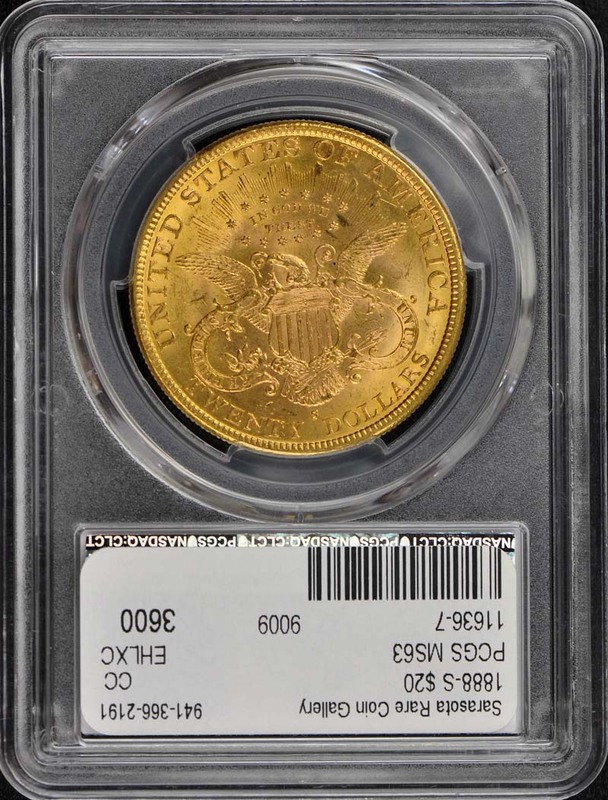 The number of examples that have been graded MS-64 is surprisingly high for the mint and era. There were no known specimens in gem condition noted in the first or second edition of this book. 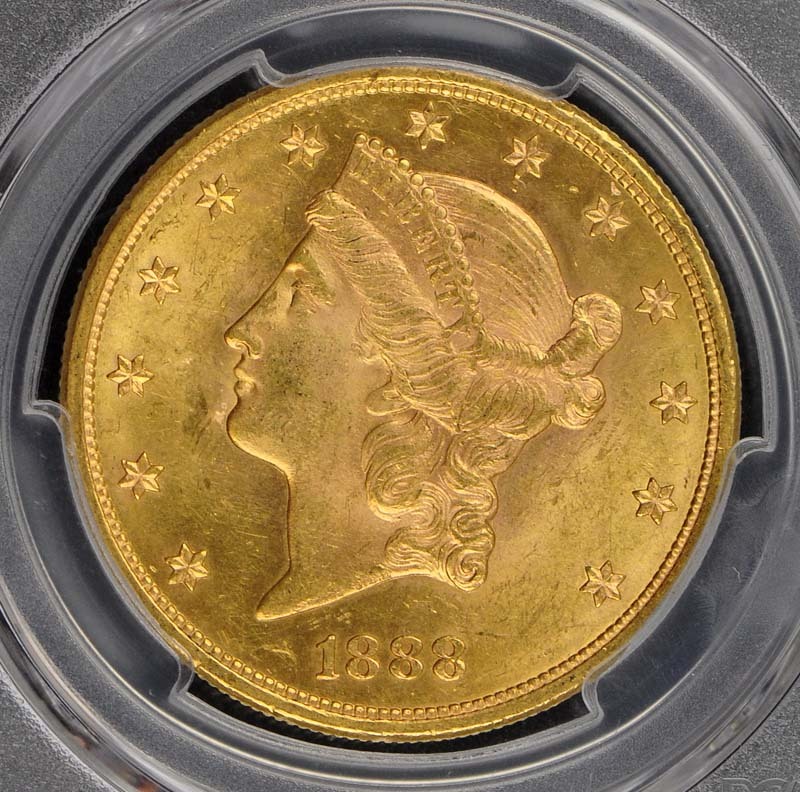 There have been several MS-64 coins offered at auction in 2007. 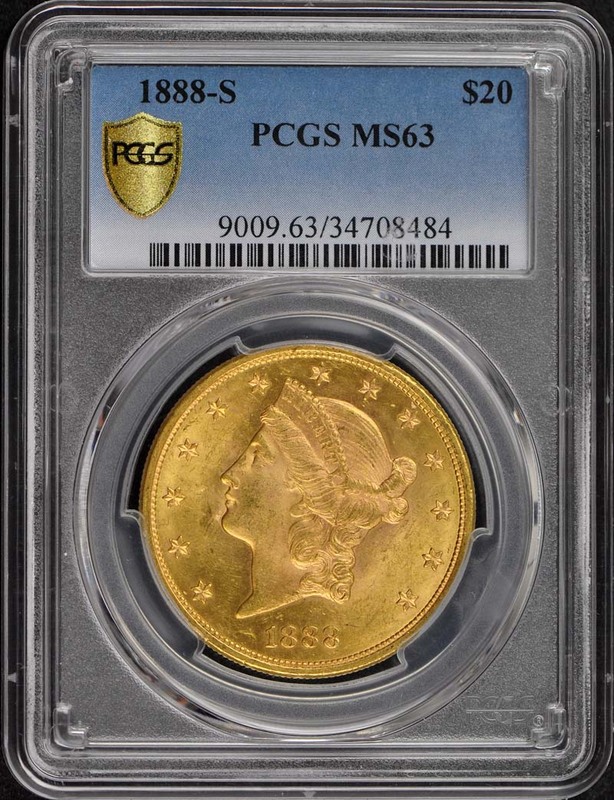 Most have sold for around $15;000.